Although the F30-generation of models will soon be phased out in favor of the new G20 style, BMW has already confirmed that the next wagon/Touring/Sports Wagon will not be making it to our shores. That fact alone deemed it worthy to get a wagon while they lasted. And this wagon packs a punch. Although it only has a 4-cylinder, it is rated at 248 hp thanks to its twin-scroll turbocharger, along with other parts. This, coupled with a kerb weight of just 200 or so more pounds than the sedan, results in sedan performance as well as sedan fuel economy. 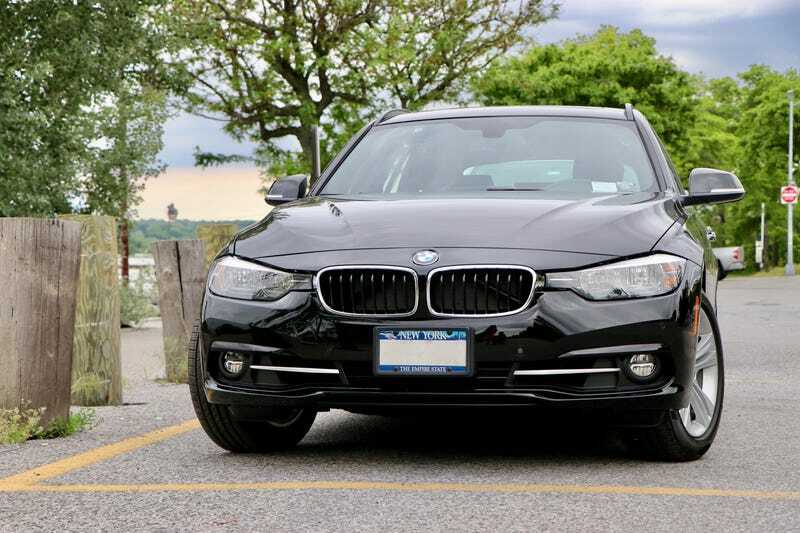 Plus, since the trunk is practically the same size as that of the X3, we also get SUV space. This makes the wagon the best of all worlds. After one week with this new car, I’m glad to say that I’m extremely happy with it. BMW iDrive navigation, along with the 8.8" screen, is incredibly intuitive, and looks great. The panoramic moonroof is one feature that I never knew that I wanted... yet I love it as it provides the interior with a more airy feel, which is no small feat with a black headliner and black seats. The aluminum trim is refreshing compared to the Burl Walnut wood of our last car, along with the black leather with red stitching—a nice touch. The rear camera and Park Distance Control are also nice to have too, along with the many other odds and ends which will take me much time to go over. Suffice to say, choosing a wagon was a great decision to make. This will sound extremely clichéd, but I would gladly recommend this car to anyone in the market for a new midsize SUV. Its sedan dynamics and fuel economy, paired with the space of an SUV, make for an unbeatable combo. Oh, and by the way, I realized that I never got any good shots of the interior with my camera, so I took that photo with my iPhone.